Written by Charles K. Bens, Ph.D.
Nutrient deficiencies can cause countless ailments and diseases. However, eating the proper foods and supplementing certain nutrients can reverse poor health and reduce your risk of illness. So Where Are the Bodies THIS Year? Sweet and juicy are two reasons to eat strawberries. Here are 8 more healthy excuses to eat lots of them. 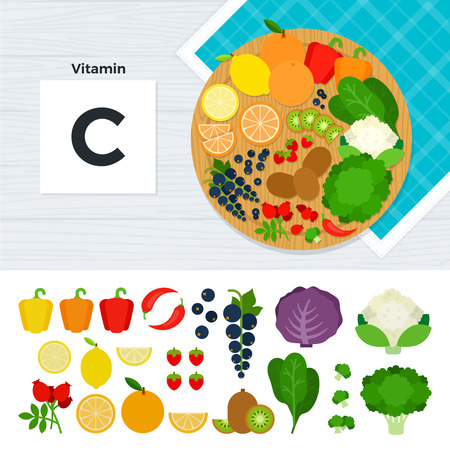 We all know that Vitamin C is an essential nutrient, but few have the simple skills to use it effectively. Be a "C" student and take charge of your health. Could saving your teeth require firing your periodonist? While they mean well, many can not see beyond their training, using supportive, nutritional-based therapies that strike to the underlying cause of the problem. Can the Codex still be relevant, despite the committees that undermine the Codex's credibility? Why Is Nobody Studying Vitamin C In Whooping Cough? Last year I wrote a document entitled "The Vitamin C treatment of Whooping Cough" in order to meet the needs of parents who seek treatment that is safe and effective. I have first hand experience of its effectiveness and there is old literature to suggest that even low doses of Vitamin C help reduce the severity and duration of the cough. Can Wild Oregano Oil Provide Relief From Engineered Diseases? Are genetically modified bacteria, viruses or yeasts proliferating unchecked, creating havoc with our inner worlds? Its very possible, though the precise cause not clear yet. Mainstream medicine may laugh, but this Vitamin C protocol could be the key to a healthy heart. The campaign to blame unvaccinated kids and their parents for the recent whooping cough outbreaks is in high gear. It is time to take a close look at the published, peer-reviewed medical literature to unearth the reality behind the myth. Maximize & boost your nutrition by simply adding a few common herbs to your favorite foods! Amazing new research indicates that humans are capable of synthesizing vitamin C via their highly complex and capable microbiome. With flu cases in this city up tenfold from last year, the mayor of Boston declared a public health emergency on the 9th of January. Right behind them the U.S. Centers for Disease Control and Prevention declared that influenza has reached epidemic proportions in the United States, with 7.3% of deaths last week caused by pneumonia and the flu. Ginger - It warms the body, flushes out toxins, boosts our immune system, energizes us and eases our nerves. What other natural health benefits can ginger do for us?